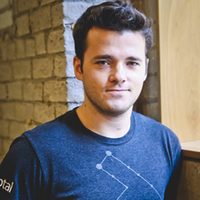 Toptal is pleased to partner with Vancouver’s React Meetup. Come join us on Wednesday, Oct 24th at 6:00 PM to connect with local React developers. 6:30 pm: Apollo + GraphQL + React. Jeremy Gonzalez, a developer at 7Gees, will share the benefits of GraphQL and using the Apollo client to consume a GraphQL API with React. 6:50 pm: The Good, the Bad, the Design System. Aidan Legaspi, a software engineer at Eventbrite, will share what Eventbrite discovered while building its React-based design system. The talk will cover day zero, the main benefits and pitfalls, as well as how they’ve leveraged their design system to coordinate extensive changes across the product in a recent rebrand. 7:10 pm: Building the POF React PWA with Tim Beamish, Web Lead at Plenty Of Fish.